You are here: Home / Blog / Credit Repair Business / What Are The Best Merchant Services For Small Business Owners? If you’re a small business owner or looking to invest in a startup company, you’ll need to know how to accept debit or credit card payments. Credit cards are widely used by most customers today, and fewer people use cash or credit cards to settle payments. Credit and debit cards are easier to use than ever with the recent introduction of mobile credit card transaction apps. To get started, you’ll need to pick a merchant service provider to set up a merchant account with. We’ve compiled a guide for merchant services reviews to help you with the process. Merchant services is another term used to describe the credit card process system that handles electronic payments for business owners. Activities for merchant services may include gathering sales information from the merchant, getting permission to run the transaction, retrieving funds from the bank that issued the credit card, and then sending the payment to the cardholder. A business in the United States must first obtain a merchant account to use a merchant service and accept credit card payments through an electronic website. A merchant account is a type of bank account that allows business owners to receive an electronic payment of a debit or credit card. In other words, it’s an agreement between a business owner, the person who is processing a payment, and the bank. You need to have a merchant account so that clients can pay for the product or service that you offer. When they pay with a credit card, the funds will be deposited into your merchant account. Eventually, they will be transferred to your business bank account. Most transfers are done either every day or once a week. Obtaining a merchant account doesn’t have to be a complicated process, but you’ll need to do your homework. New business owners might find it easier to get a more favorable merchant account application with the same bank that handles their personal or business accounts. Does the business have a low or high risk of returns or credit card fraud? What is the company’s credit history? What is the status of the personal credit history of the business owner? Has the company had a previous merchant account? If a vendor determines that your application is high risk, you won’t necessarily be denied a merchant account. However, you may be subject to higher fees or interest rates. Once your business becomes well established, these charges can be revisited and reduced in most cases. Different merchant vendors have different prices, so it’s important to be aware of all possible fees before choosing a merchant service provider. After you’ve applied for a merchant account, a customer service representative or salesperson will hand off your application to an underwriter. The underwriter’s job is to make sure your business is not risky. He or she will check to make sure your company is likely to pay on time and that no fraudulent activity is going on outside of the United States regulations. An underwriter will have the final say over your merchant account application after they check to make sure your business is stable and well capitalized. Small business or startup companies often don’t have the same credentials as well-established businesses. Therefore, they may experience higher rates until the company becomes better established. In some ways, a merchant account is similar to receiving a line of credit from the vendor that processes the credit card. It is analogous to a business loan in that your credit history and records make you entitled to a larger credit line. After about three to six months of maintaining a stable volume, chargeback ratios, and transaction sizes, you should be able to request a higher credit limit. When picking out a provider to set up your merchant account with, you’ll want to keep a few things in mind. Your budget is the most important place to start. Picking a merchant service outside of your financial limit can be a disaster. Many startup business owners don’t have a lot to spend when they are just getting their business off the ground. You’ll also want to focus on profitability in sales. Consider how your business operates, the size of your company, and what your monthly sales volume is. We’ve reviewed the best merchant services for small business owners and compiled a reference guide for you. Here are some of the best merchant services of 2017. If you’re looking for a reliable merchant service for an affordable price, then Payment Depot is a good place to start. They are one of the cheaper options for businesses that make more than $2500 per month. If you don’t make this much each much, you won’t profit from using this service. The good news is that they don’t require a fee with every debit or credit card transaction made. Instead, they charge a flat rate of $16.60 each month for transaction fees with no other costs. You also have the option to pay as you go and there are no minimum fees to pay each month. Be aware of their $10 annual IRS reporting fee each year. Reviewers claim that payment depot is easy to use and set an account up with. Additionally, there is no setup fee whatsoever, and they have a live chat feature available to help you any time of the day or night. One of the best things about Flagship Merchant Services is that they are extremely flexible. They allow you to opt for a monthly pay as you go plan or a 12-month contract. With the contract, you can get free payment gateway equipment such as a swipe machine. Flagship offers a fixed transaction percentage fee when using a debit or credit card of between 0.38 and 1.98 percent. They also charge $0.19 for each transaction. Transaction fees for credit cards may range up to 3.56 percent each swipe. You’ll also have a monthly fee of $7.95, but there are no setup or application fees to worry about. This merchant service provider has been in the business for almost 20 years. They specialize in avoiding additional costs and hidden fees by offering a pay as you go system, which alleviates early account closure costs. They also do not have a monthly restriction on your transaction amounts, and there is no setup fee. Maintaining an account with CDG costs $10 a month. As with all online transactions, there is a markup charge via the interchange plus payment model. Keep in mind that you’re still getting a good rate with this system. All e-commerce payments are subject to an interchange of 0.30 percent along with a fee of 15 cents for each transaction. When the purchase occurs within your business, you will pay the interchange rate of 0.25 percent and 10 cents for each payment. Sales made by a mobile device have an interchange rate of 0.25 percent and 10 cents per payment. Lastly, you will pay 0.20 percent and 10 cents per donation for non-profit fees. Payline is an attractive option for startup companies because it is simple to use. It is easy to apply for, and there are no setup fees. There are also no fees for debit or credit cards per swipe. You’ll pay a monthly fee of $20 with a required payment of $25 into your account each month. Payline Data is another merchant service provider that is perfect for small business owners no matter if they are online or in-store based. They feature an inexpensive and straightforward pricing model for companies that have less than desired sales. 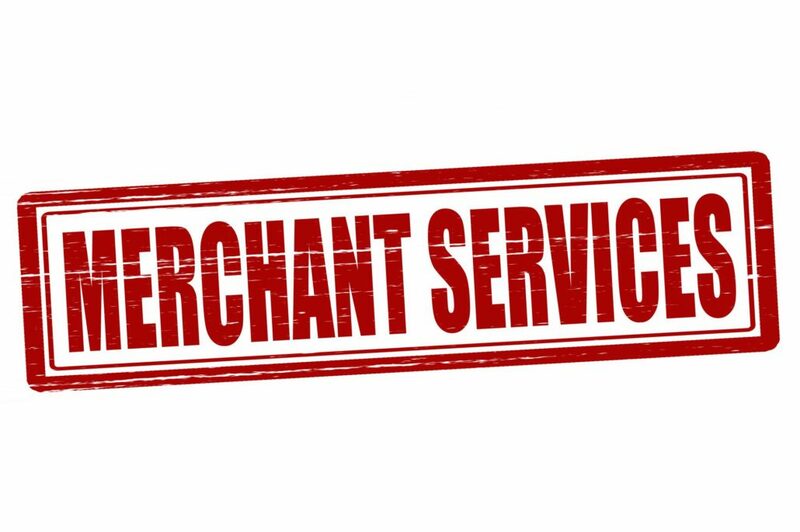 Standard merchant services cost $15 a month in addition to the interchange plus pricing. In-store purchases will cost you an interchange fee of 0.2 percent and 10 cents per transaction. Online sales have an interchange rate of 0.30 percent and 10 cents. Available upon request are lower rates for enterprise pricing. Dharma Merchant Services have fair pricing for all clients. They use the standard credit card processing interchange plus pricing model. They don’t have any annual or additional fees such as application or setup fees. They also do not charge for closing your account or complying with PCI regulations. They have a monthly service fee of $10 that doesn’t change as your transaction amounts grow. Credit card payments are charged 0.25 percent and 10 cents per transaction, and online payments are billed at 0.35 percent and 10 cents. These numbers are the most beneficial if you make over $10,000 monthly. With Helcim, there are no hidden pricing plans as the company posts this information on their website. The Canadian corporation has been in service since 2006 and began to offer its services to businesses in the United States in 2013. It has low rates and provides a rate lock guarantee so your price plan won’t go up. However, if you sign up for an account, you won’t be assigned to an account manager. You’ll pay $12 a month for an account that does not require a monthly minimum requirement, which is a nice feature for startup business owners. While Helcim doesn’t require any setup or annual fees, they need you to be PCI compliant and will charge $45 each month until you are. National Bankcard offers competitive rates for each plan it offers. They don’t require you to sign a long-term contract when you sign up for an account with them. They also offer a free EMV-compliant terminal without a contract for both large and small business owners, including companies that haven’t established credit yet or don’t have good credit. Reviewers noted that their pricing plans weren’t listed on their website and customer service representatives were cautious about revealing this information. Despite low fees, you’ll need to do some digging before setting an account up with National Bankcard. Cayan has low costs that make it an excellent option for businesses on a budget. They charge 0.20 percent and 10 cents above interchange for each transaction, but these numbers are better than average. It also has the lowest monthly fee available at $4.95. There is no monthly minimum required. However, there is an annual fee of $99 if you aren’t PCI compliant. They do not charge a setup fee and have a charge of $25 per incident if you have a chargeback. TransFirst has lower than average rates for their services, but they charge more for a central EMV compliant terminal than its competitors. They cost 0.20 percent and 18 cents over the interchange rate, which is equal to some of the best merchant services. They have a monthly fee of $9.95 to hold an account with them. You must meet their $5 minimum and $72.50 each year in PCI compliant fees. Companies who aren’t PCI compliant will be charged $29 a month until you are. There are no setup or annual fees. As the majority of payments made today are through debit or credit cards, you will need to set your business up with the best merchant service provider available. Your fees and interest rates might be higher if you are a startup company or have a poor credit history, but most companies are happy to revisit your fees after establishing a few months of a healthy business relationship. Be sure always to pay your bills on time and follow all regulations accordingly to avoid looking like a risk. Keep in mind your budget and any hidden fees when picking out the service that’s right for you.